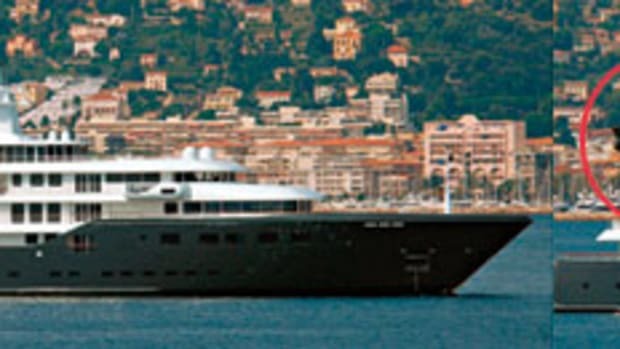 Said to be owned by a Turkish national, this lady launched last year but apparently wasn&apos;t delivered until this year. Instead of a transom “beach” with a fold-down platform for guests to climb in and out of the water to swim or dive, Nero has an 18-foot-long side hatch that does the trick. 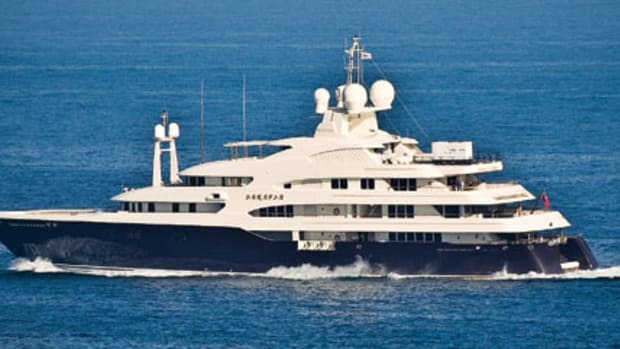 Perhaps her owner and design team decided a stern platform would ruin her lines, because she&apos;s styled to resemble the famous steam yacht Corsair, commissioned by the equally famous J. Pierpont Morgan. (See further information about both Morgan&apos;s yacht as well as the similarities below.) Among Nero&apos;s thoroughly modern toys are two SeaBobs, watersleds that permit scooting along and under the water at upwards of 14 mph. Nero is a blend of Oriental and Occidental. Although she was built in Yantai, China, by the Yantai Raffles Shipyard, she was commissioned by the unfamiliar company Corsair Yachts, which, as you yachting-history buffs no doubt know, was the name of four of J.P. Morgan&apos;s yachts. 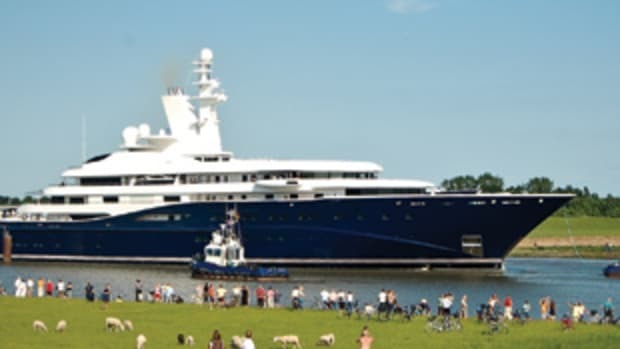 That includes Corsair IV, a 343-footer built by Bath Iron Works in Bath, Maine, that for many years was also the largest yacht ever built in the United States. Take a good look at her, and you can&apos;t help be struck by how similar in appearance Nero is, which at 296 feet is nearly the same length but about six feet wider. Even the masts look alike, although on Corsair IV they were wooden and actually supported a suit of sails. 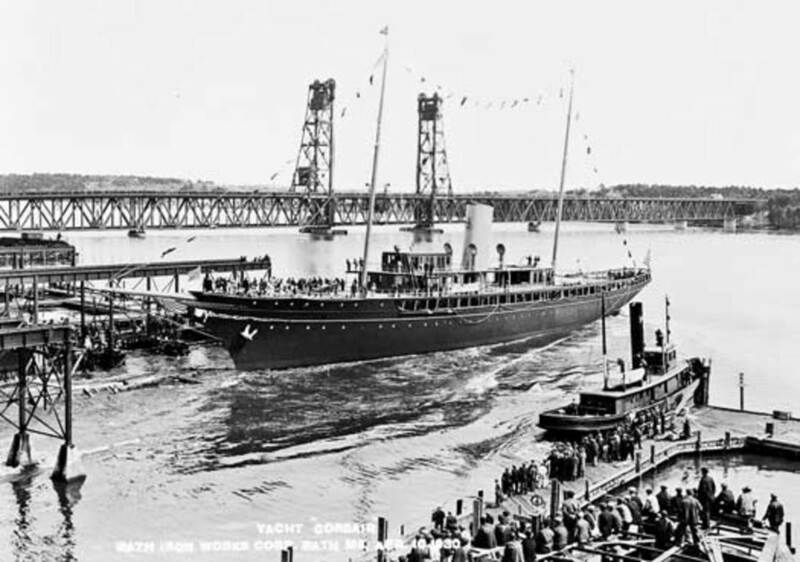 Both vessels also sport a funnel, which on the original served a steam turbine that drove an electric generator, a presaging of today&apos;s hybrid diesel-electric powerplants. Nero is powered by a pair of conventional MAK/Caterpillar diesels.